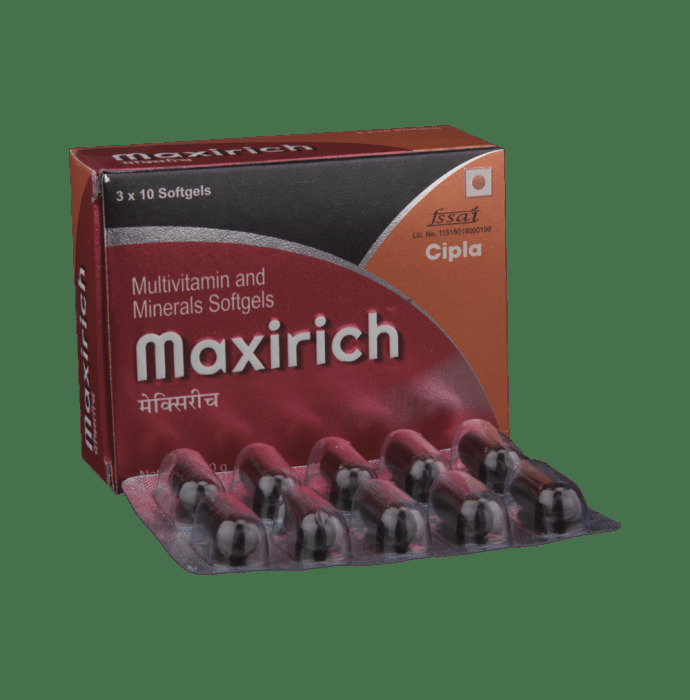 Maxirich Capsule is a nutritional supplement rich in Calcium, Phosphorous, Vitamin C, Nicotinamide, Magnesium , Potassium , Vitamin B1, Vitamin B2 , Calcium Pantothenate, Vitamin B6 , Manganese, Zinc , Folic Acid, Vitamin B12, Copper, Molybdenum, Iodine, Vitamin A, Vitamin D3 , Vitamin E Acetate. Vitamin B complex improves appetite , treats weakness & lethargy. Phosphorus is the main component of ATP which is the fundamental energy source, protects bones and fights against osteomalacia. Iron maintains Hb level thus fights against anemia. Magnesium helps in synthesis of DNA & RNA. 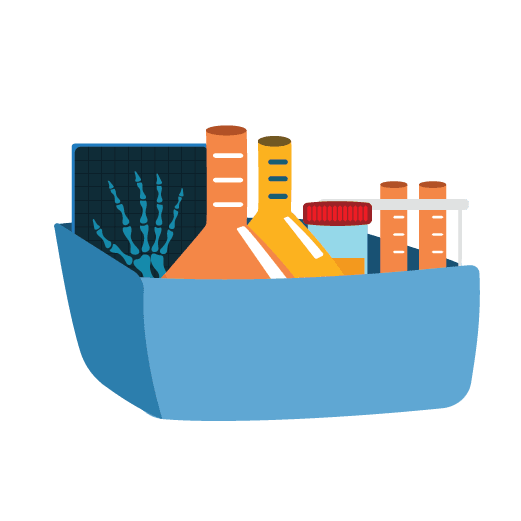 Potassium Iodide is required for the synthesis of thyroid hormone. Potassium helps in normal muscle & nerve activity. Zinc increases stamina by prolonging muscle contraction and manganese prevents bone loss. 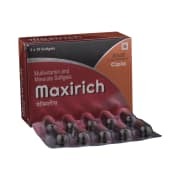 A licensed pharmacy from your nearest location will deliver Maxirich Soft Gelatin Capsule. Once the pharmacy accepts your order, the details of the pharmacy will be shared with you. Acceptance of your order is based on the validity of your prescription and the availability of this medicine.